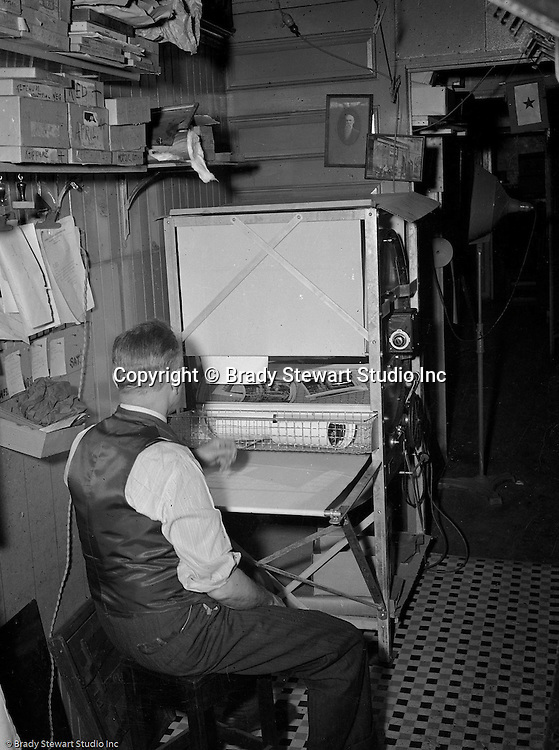 Pittsburgh PA: Brady Stewart Sr drying Black and White photographic prints at the offices located at 812 Market Street in downtown Pittsburgh - 1950. At this time, Brady Stewart Studio was on the way to becoming the largest commercial photography studio in Western Pennsylvania. The studio worked with nearly all the major advertising agencies, corporations and architects in Pittsburgh including; Ketchum McLeod and Grove, Lando Advertising, Brady Stewart started the business in 1912 and remained owner until his death in 1965.